This extremely astonishing award has been created using exclusively acrylic parts. Using a large chunk of 50mm thick clear acrylic, we machined the custom base in house, sanding and polishing it by hand to achieve the completely translucent foundation. 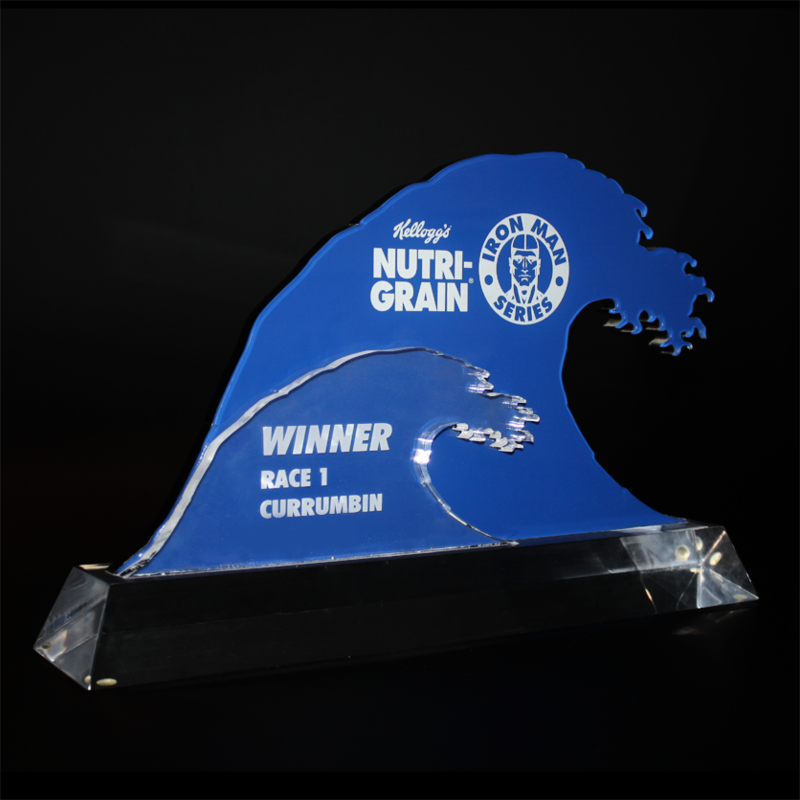 The body of the award has been constructed using 3 layered acrylic panels, the first of which is a black acrylic backing piece, custom cut to the shape of a wave. Mounted directly in front of this black panel is a clear panel of the same shape which has been painted blue on the reverse side. Logos have been engraved on the reverse side of this panel in order to to be seen as a white feature in amongst the blue. Lastly a smaller clear acrylic panel has been added to the front of the award with engraved winners’ details.